Every flower petal is unique, just as each of our life stories is unique. In the blink of an eye, Anne Alexander's world was turned upside down and inside out when her thirty-seven-year-old husband suddenly died of a massive heart attack-in a movie theater-and she was left to raise two young children. If you are looking for some realistic guidelines regarding the grieving process, this book is for you. Life takes us on many journeys. How do you decide which paths to take, which bridges to cross, which construction you should avoid? God's Word says, "Seek his will in all you do, and he will show you which path to take" (Proverbs 3:6 NLT). So where do you start, which road map can you refer to, and which tools will you need? Rodney R. Payne, author and creator of 90 Days of Believing God: A Journey to Increasing Your Personal Faith, has committed to equipping you with the tools needed to proceed in your journey. This series of resources will give you what you need to direct your path with God. A passion for self-improvement, excellence, and prosperity have been trademarks of Rodney. With a successful career of over twenty years in finance, he transitioned into ministry and has since gone on to be a very effective leadership and motivational speaker. He credits his success in all he does to upholding and abiding by the principles and teachings of the Word of God. Rodney wanted to combine and use these principles and teachings to expand on his 90 Days of Believing God with this second installment of the series, a devotional journal. 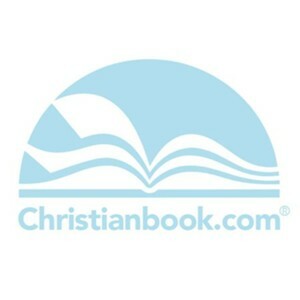 This tool will allow readers to develop a working knowledge of the faith activation they tapped into in that book and to use it in their daily lives through an interactive experience designed to assist readers to become better acquainted with themselves. It will also guide them in focusing and planning their personal faith journeys. Rodney takes the Bible in its raw form and breaks it down into a daily devotional journal that is the perfect resource to help direct readers' paths in the way God intended. He has a compassionate heart and a passion for personal and spiritual growth and development, expanding on them not only for himself but also for everyone else. The author wants to help you grow into the greatness you were meant to achieve. Rodney has a God-given ability to communicate in a way that will help you fully understand the ways and concepts of a faith-activated experience through God, an experience you can apply to all areas of your life. I'm the author/artist and I want to review 90 Days of Believing God Devotional and Journal: A Journey to Increasing Your Personal Faith.